In August, most of our meals revolve around what comes in our weekly CSA share and what’s in season at the grocery store. Since many fruits and veggies are available for a very short time, I’ve been cooking family favorite recipes rather than trying new ones. That’s why today’s post is a parade of the previously published recipes that have been prepared in our kitchen lately. 1. 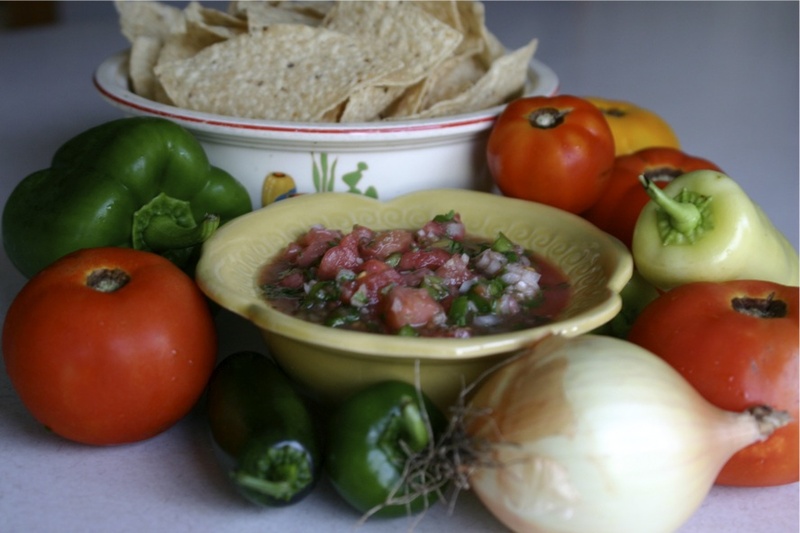 To use up tomatoes, sweet peppers, and jalapenos we’ve been making double batches of this delicious summer salsa. This summer’s new twist has been to cut the corn off two ears of sweet corn, microwave it for a minute, and add it to the salsa. How can something good for a person be so sinfully good? Summer heat’s been great for the basil in my herb garden. I’ve lost count of how many batches of pesto we’ve made. We make non-dairy basil pesto, which is as tasty as the regular version. 3. 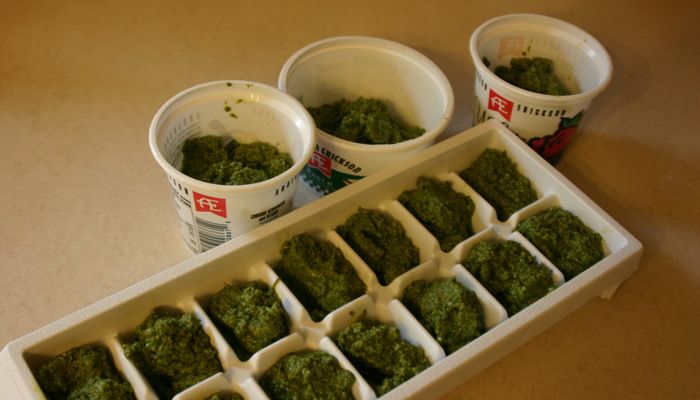 Most of the pesto goes in the freezer to be used throughout the winter. But some of it gets added to pesto pasta, to which we add summer vegetables that need to be used: zucchini and grape tomatoes are two faves. 4. Peanut chicken stir fry is another summer favorite at our house because we can add whatever veggies are available. 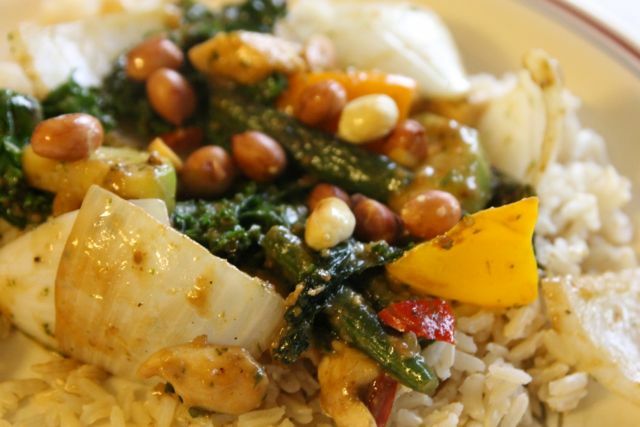 Our favorite is Joni’s Cashew Chicken, garnished with peanuts instead of cashews. You can find other stir fry recipes by typing “chicken stir fry” in the Gravel Road search box. 5. With peach season going strong, we’ve been eating a lot of peach pie for dessert. This morning I made two for supper with friends tonight. 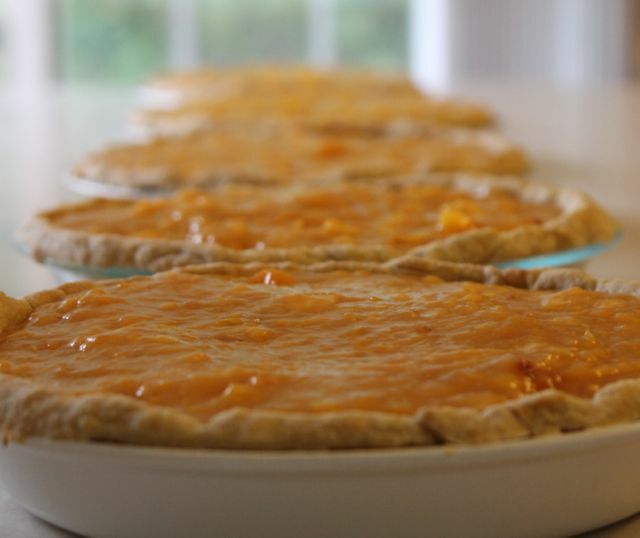 This fresh peach pie recipe can’t be beat. So what’s cooking in your late summer kitchen? 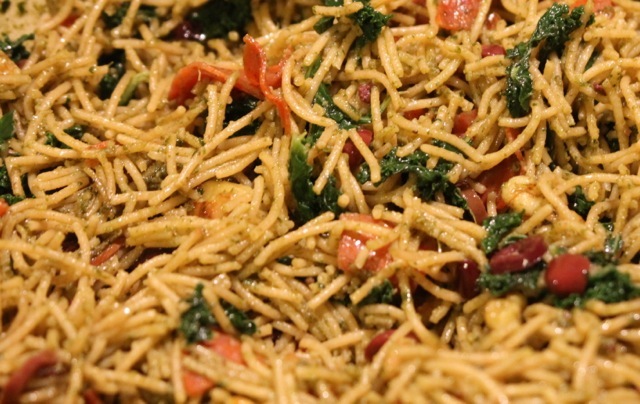 Leave a link to your favorite recipe in the comment box if you like.